This listing is for a set of 8 sweet mini cards. 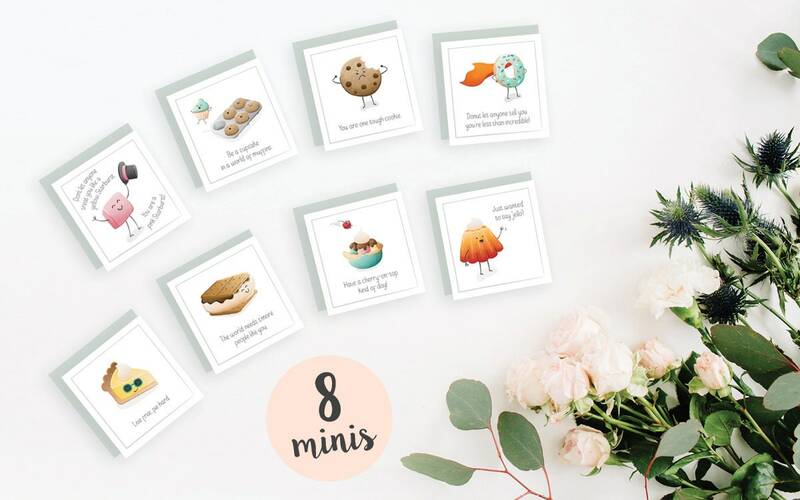 Give them to your friends or coworkers as a little pick-me-up, put them in your kids' lunchboxes...the possibilities are endless! • Tiny! 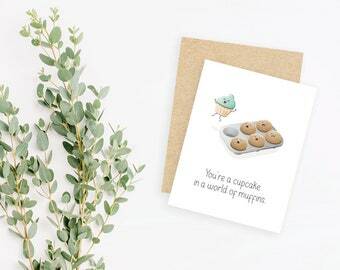 Approximately 2" x 2"
"Be a cupcake in a world of muffins." "You are one tough cookie." "Donut let anyone tell you you're less than incredible!" 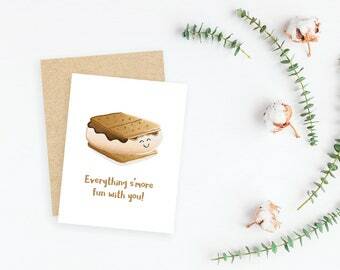 "The world needs s'more people like you." 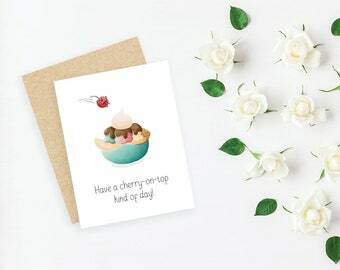 "Have a cherry-on-top kind of day!" "Just wanted to say 'jello'!" Wonderful shop and loved the card! !